The MICRO Series M1 Orbital Adaptor features a long stem ball swivel to accommodate cameras, lights, or the hanging of large diaphragm studio microphones with ‘spider’ shock mounts. The long stem provides the necessary clearance to position the shock mount below the boom. The patent-pending Glide Path™ housing facilitates both full orbital rotation and a conventional straight-line trajectory for on-axis use. M1 Adaptors are IO-equipped for quick-change compatibility with TRIAD Stands, ORBIT Booms and IO-R adapters. 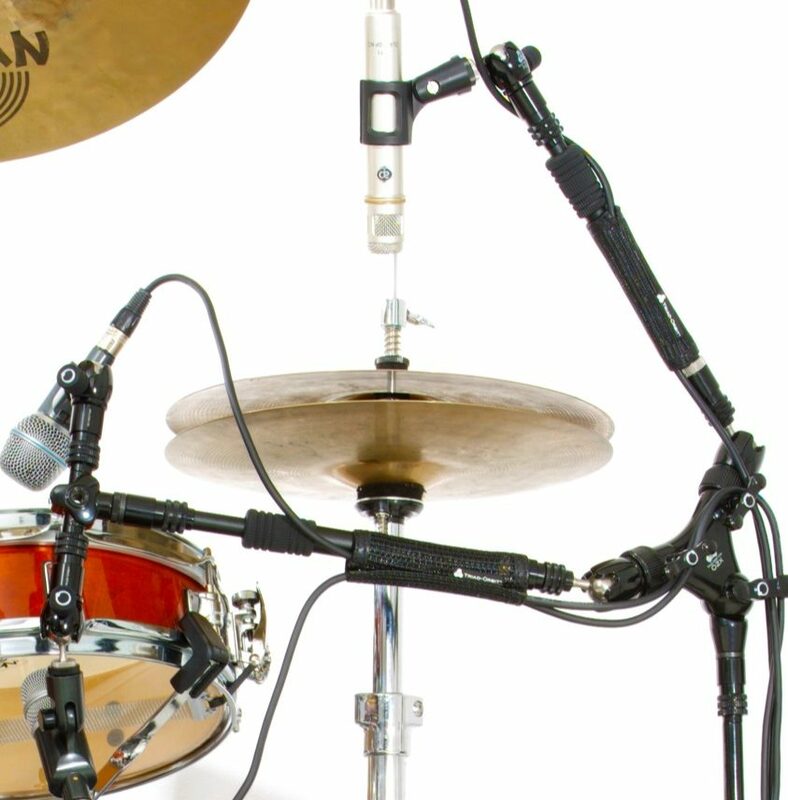 The Micro Series orbital adaptor features a long stem mounting arm to accommodate cameras, lights, and studio microphones ranging from small diaphragm pencils to large diaphragm tube condensers. The patent-pending Glide Path™ housing facilitates both full orbital rotation and a conventional straight-line trajectory for on-axis use. M1 adaptors are IO-equipped for quick-change compatibility with TRIAD stands and ORBIT booms. MICRO orbital adaptors are miniature versions of ORBIT orbital booms, exhibiting the same enhanced range of motion, thanks to the unique ball swivel mechanism. Using MICRO adaptors in conjunction with ORBIT booms exponentially increases the accuracy and versatility of any stand.